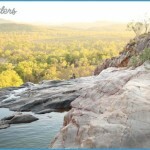 Perhaps the Territory’s most well known attraction, Kakadu’s reputation soars far and wide. 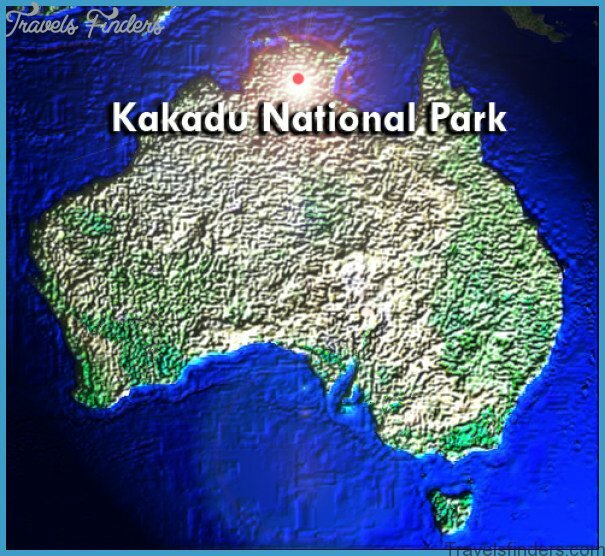 While an international tourism destination in its own right, Kakadu is a national treasure on the doorstep of all Darwinians. The park protects some 20,000 square kilometres of glorious tropical Australian wetlands, rainforest and arid wilderness. 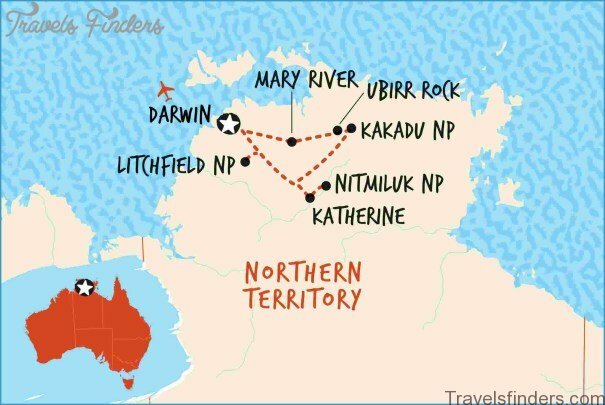 It’s a world heritage listed site due to its natural and cultural features and is a must-see spot for all interstate visitors on a Top End adventure. 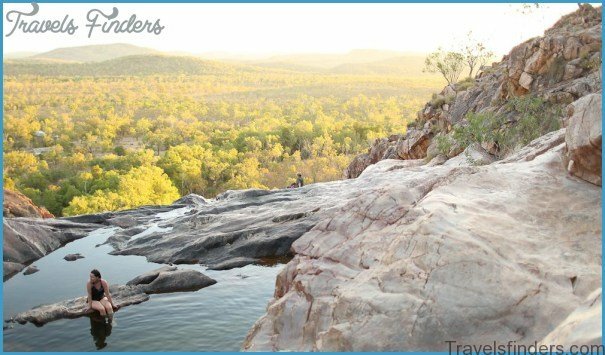 Kakadu is home to mesmerising waterfalls, gorgeous gorges and billabongs and the sheer beauty of the place is guaranteed to leave you slack jawed. There’s some epic fishing for barramundi and other species in the Alligator River and it’s one of the best places in the country to get in touch with some indigenous culture, with numerous rock art sites on display at Ubirr in the East Alligator Area. 4WDing is not a highlight of the area but most visitors don’t travel this part of the country without an offroad capable vehicle. The prime time to visit is during the dry season from June to November, while wet season rains can leave the park’s dirt roads sloppy and eroded. Fishing is allowed within the park’s waters using lures, however baitfishing, cast nets, traps and spearfishing is not allowed. Boat ramps are located at the South and East Alligator rivers, Jim Jim Billabong, and at Yellow Water and Mardugal camping areas. Jim Jim Falls is the most famous waterfall in the park and one of its biggest attractions. During the wet season the falls drop over 200m to a clear pool below. Access to the falls in not allowed at night between 8:30pm and 6:30am, while visitors can get a great view of the falls from the Budjmi Lookout. 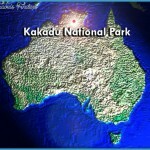 Kakadu is 170km southeast of Darwin and is easily accessible for weekend visits and even daytrips. Camping is available within the park at the Merl camping area, near the Border store, which is equipped with good facilities including water, toilets and picnic tables. Bush camping is allowed at a number of other spots including Red Lilly Billabong, Alligator Billabong and Bucket Billabong, although visitors to these sites must be fully self-sufficient. 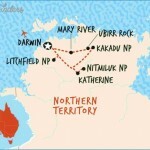 Fuel is available at Kakadu Resort (South Alligator), Jabiru, Cooinda and Mary River Roadhouse. @4WDing tracks wind through the limestone peaks on the eastern side of the park, away from the ocean. The undulating terrain has been shaped by erosion and some of the peaks offer excellent views across the park and out to the reef. Snorkelling is a top priority for just about any visitor to Ningaloo, and you really couldn’t pick a better spot to get up close and personal with some marine life. Turquoise Bay is the number one spot for a bit of up close reef viewing, with easy access, well defined currents and a plethora of gaudily coloured flora and fauna on offer. 1100km north of Perth via National Route 1. Camping is available within the park at Kurrajong, North Kurrajong, Neds, North Mandu, Osprey Bay, Tulki Creek and Yardie Creek campgrounds for $10 per night. Bookings should be made online if visiting during peak holiday times in order to avoid disappointment. Fuel is available at Exmouth and Carnarvon.